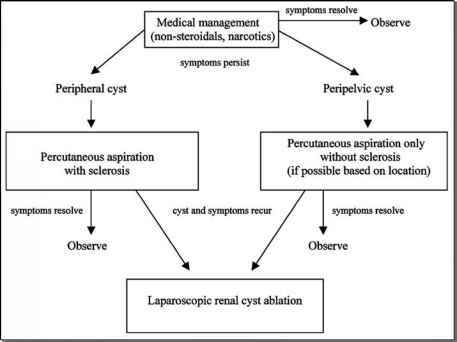 The author reported the first case of laparoscopic partial adrenalectomy for recurrent pheochromocytoma in the literature (52). Walz et al. demonstrated successful laparo-scopic surgical treatment of three locally recurrent pheochromocytomas following open transperitoneal surgery, including one case of partial resection (50). They noted limited scarring around the recurrent tumors allowing clear and rapid identification of landmarks and neoplasm, and recommended endoscopic surgery for recurrent pheochro-mocytomas in experienced hands. In the author's personal experience, laparoscopic partial adrenalectomy was attempted on seven recurrent tumors in five patients with hereditary pheochromocytoma and was successful in five (71%). Total laparoscopic adrenalectomy was necessary in two cases (Table 1). Note: The procedure is easier if the previous surgery had been laparoscopic as well, as it is associated with lesser adhesion formation. Abbreviations: R, right; L, left; M, male; F, female; MEN, multiple endocrine neoplasia; VHL, von Hippel-Lindau; OPA,open partial adrenalectomy; LPA, laparoscopic partial adrenalectomy; TA, total adrenalectomy. Source: From Ref. 53.